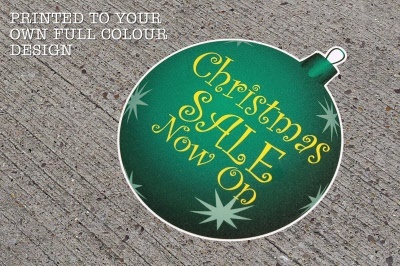 Christmas Bauble Shape/ Design Floor Sticker. Perfect festive floor decorations. Floor Graphic is made from White Permanent Non Slip Vinyl for Long Term Outdoor Use. Minimum Online Order Quantity 5 stickers.